Green olive oil and vinegar bottle label scene. This PSD Mockup provides a green glass bottle typically used for high quality olive oil products. 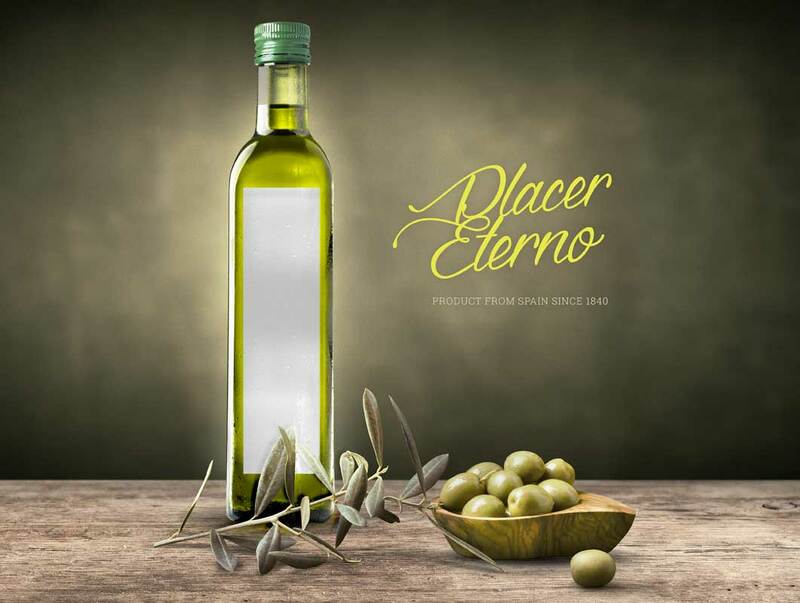 This PSD template includes the neccessary Smart Object layers to perfectly position your olive oil product branding onto the front of the bottle.